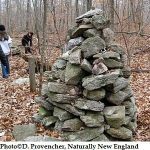 This was formerly a Girl Scout camp, and the folks with the Westerly Land Trust have been working for some time to revive the old trail system as well as refurbish the lodge and other features like the great fireplaces. 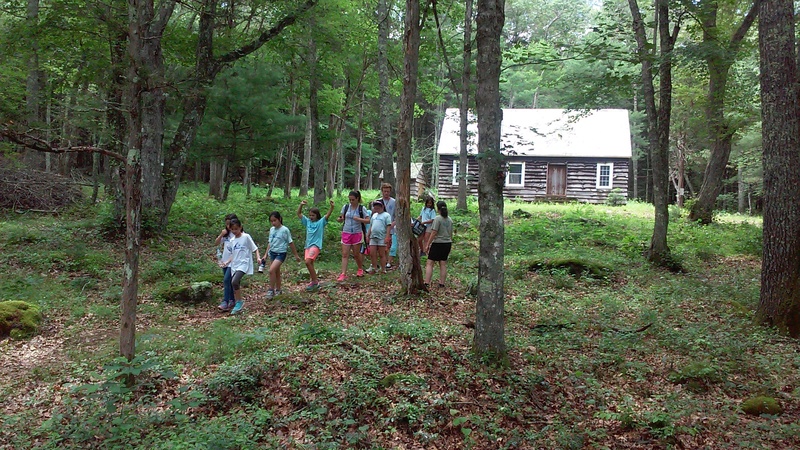 The 72-acres is primarily wooded wetlands, and includes a stream, pond, and meadow. Click here to learn more about Wahaneeta Preserve. Get directions or follow ours: From Route 1, turn north onto Dunns Corner Road. Take a right on Moorehouse Road after about 1.4 miles. The road is not fully paved. Pass the ball fields on your right and look for the entrance to the preserve on your left. Please park well within the preserve, about 400 feet down the driveway once you pass the Wahaneeta Preserve sign. There is absolutely no parking on the dirt road before you reach the sign as this is private property. Could you please provide an address I could put in my GPS to get there? From Route 1, turn north onto Dunns Corner Road. Take a right on Moorehouse Road after about 1.4 miles. The road is not fully paved. Pass the ball fields on your right and look for the entrance to the preserve on your left. 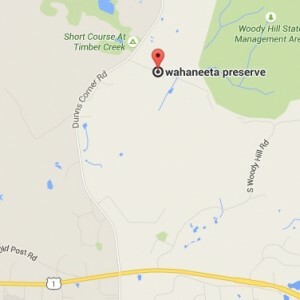 Please park well within the preserve, about 400 feet down the driveway once you pass the Wahaneeta Preserve sign. There is absolutely no parking on the dirt road before you reach the sign as this is private property.